It seems like far too many weeks ago I had lunch with a friend at ABC Kitchen in Manhattan. This restaurant is around the block from a very large green market that is held in Union Square. As most restaurants are trying to do these day... their menu is seasonal with many of their ingredients from the local farmer's market. 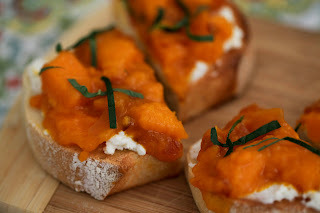 An appetizer of Roasted Kabocha Toast really stood out to me because I had never eaten kabocha squash before. 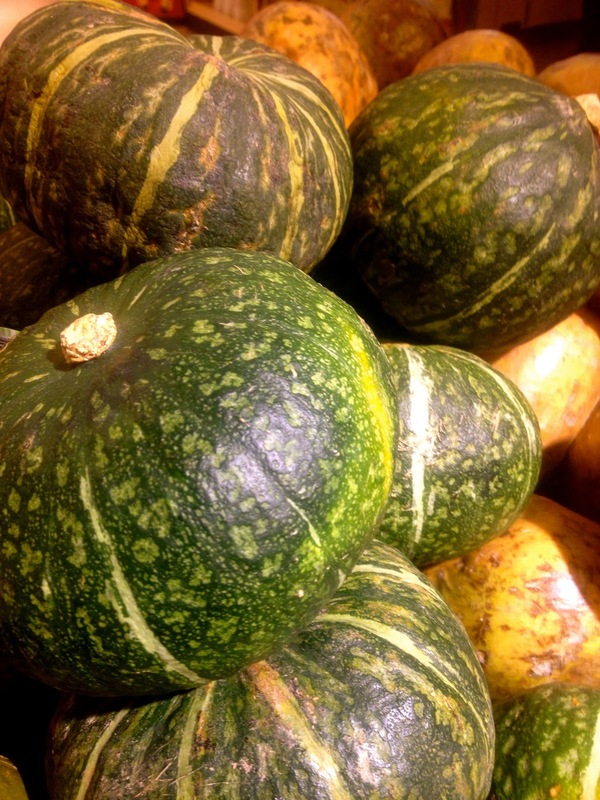 There are not many vegetables I haven't eaten... so I was intrigued by this Japanese pumpkin that is sweeter than butternut squash with the texture of a sweet potato. I finally got around to buying a kabocha. They are grown locally and are available all winter. I wanted to share my kabocha toast experience with my family. I didn't have any bread for toast, but we had a lot of bagels leftover from a brunch, so I improvised the ABC recipe and replaced ricotta cheese and toast with cream cheese and bagels. It worked out fine. 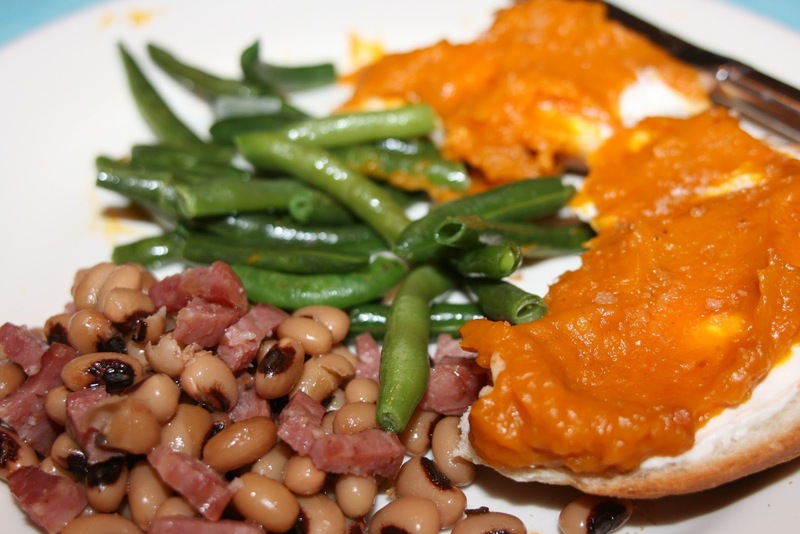 It was delicious as a side dish with black-eyed peas and green beans. Love it. I'ts a Star Wars Squash. So sorry to hear you don't have a TJ, best quick healthy food around. Thanks for the link, Diane! I fell pretty hard for kabocha this year. The roasted kabocha toast sounds excellent! I hear what you are talking about. There is something really intriguing about it's taste. 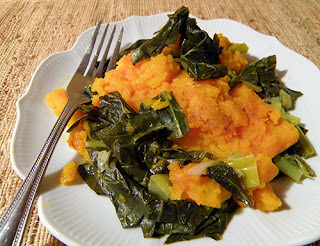 Fantastic way to cook with kabocha. Thanks for the inspiration dear! Good,,,check out the comment below's soup. It looks fantastic. I just pinned your soup. I am very excited to make it. I actually have truffle oil and would love to use it. Thanks. Great menu. I love Trader Joe's. We go there every Saturday. We're lucky enough to have one a few towns over. TJ is definitely the most reasonably priced health and gourmet food store I've ever been too. Thanks for the post. I love to hear about different vegetables and have seen these before. I was wondering if anyone could share more about the taste of the squash? I can't buy them around here, but I could grow them for sure and was wondering what everyone thought of them? 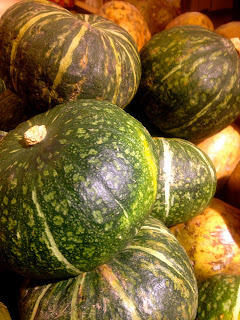 I found them to be sweeter than butternut squash but with the texture of a sweet potato. I have seen them in the seed cats, but haven't tried them yet. They sounds delish! 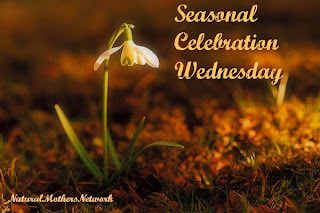 Thanks so much for linking up to The HomeAcre Hop! I'm looking for seeds to try growing this year :) BTW, my sis works in Manhatten!